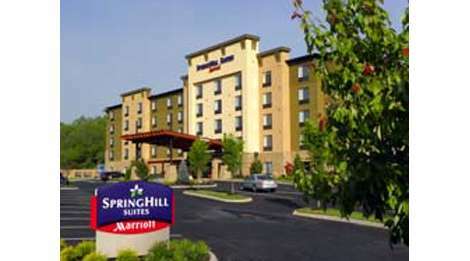 At SpringHill Suites Pigeon Forge, a Tennessee Marriott hotel you’ll have the space you need to get things done and unwind. Our stylish suites are 25 percent larger than comparably priced hotel rooms and feature a work desk. Enjoy the fitness facilities during your stay, including the indoor and outdoor pools and workout facility.